After a long hiatus THE SOIL BLEEDS BLACK return with a new album spanning seven years of intermittent recording sessions. “Medieval,” a simple and unswerving title embodying the bands art is also a reflection of their latest material, conceived in a modest manner that recalls the organic sensation of a live setting as if the listener were themselves transposed in a grand medieval hall, relishing a small band of charming minstrels. While some songs uplift with jovial melodic hooks, others are yet brooding and carry an underlying dark folk sentiment throughout. 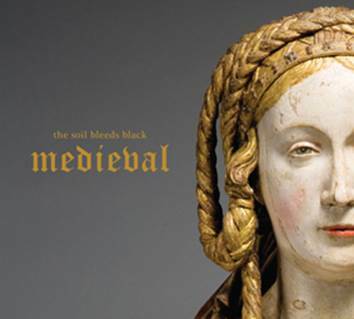 Summarily, “Medieval,” is a maturing of TSBBs art, nurtured with care and delivered in an honest pseudo-medieval fashion!